Somnox The sleep robot is a peanut-shaped soft pillow that will debut at CES 2018 in Las Vegas, January 9-12, 2018. It simulates human breathing to encourage sleepers to adopt the same breathing rhythm to fall asleep. More than one-third of Americans are sleep deprived. The Centers for Disease Control and Prevention (CDC) declared insufficient sleep a ‘public health problem’ in a 2016 report on sleep. A fatigued person increases the risk of an accident by 70 percent and lack of sleep costs corporate America about $441 billion a year in absent or fatigued employees. Award-winning neuroscientist, Dr. Els van der Helm, has studied sleep for more than a decade at UC Berkeley, Harvard Medical School and The Netherlands Institute for Neuroscience. She says that in the last decade the scientific community has learned a lot about the role of sleep in optimal brain processing and how sleep deprivation makes both a social impact and financial impact on society. Armed with this data and her understanding of neuroscience, she created a sleep app called Shleep. 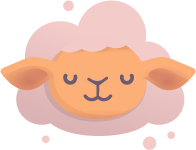 Shleep, built on a neuroscience sleep platform, coaches people to get better sleep in about five minutes a day through a combination of knowledge and exercise components based on two core themes: understanding and behavioral change. 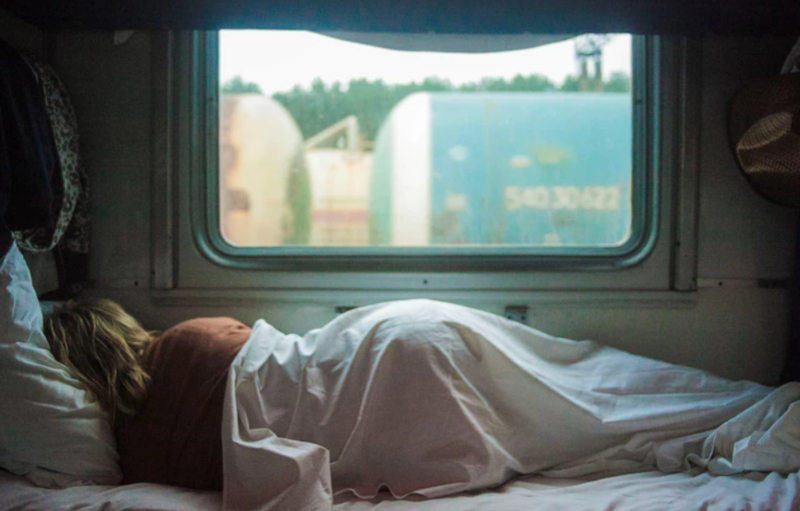 "We now know the crucial role sleep plays in learning and memory, attention, emotional processing (including mood and anxiety) and performance," said van der Helm. "This emerging knowledge from neuroscience is incorporated into Shleep and teaches our users something each day around sleep and the brain." Van der Helm says that people who go a night without sleep perform the same as someone with a blood alcohol level of 0.1%. Or that if they wake up cranky, it’s because a lack of sleep impacts their mood which allows them to link the consequences of sleep deprivation to a lack of sleep. As opposed to, van der Helm says, thinking they woke up cranky because of hating their job. "We know how our biological clock impacts our hormones and how to use this knowledge to our advantage for daily exercises. For instance, in one of our modules we help our users to stop snoozing in ten sessions by using what we know about the biological clock and the wake-up process in the brain to wane them off the snooze button step-by-step," said van der Helm. "They learn that by switching your clock slightly earlier, it’ll be easier to get up in the morning." The Shleep app is the combination of neuroscience and how our brain reacts to sleep deprivation and technology. It's being marketed to individuals and companies and currently, it's being used at The Huffington Post, Deloitte, Facebook, and Spotify. But, van der Helm is not alone in her quest to solve the sleep problem. Julien Jagtenberg, the 24-year old founder of the Dutch robotics startup, Somnox, says sleep is a complex and mysterious activity that's vital for a healthy and productive life. "Sleep deprivation is a trending problem as a result of our 24/7 global economy," said Julien Jagtenberg, co-founder, Somnox. "The battle for sleep is frustrating and something I have personally experienced through family and friends, who were addicted to sleeping medication with harmful side effects. Their suffering led us to develop a technological solution to combat and remedy sleep deprivation." Somnox has spent the last two years in research and development mode to create a smart sleep robot that helps people sleep. The Somnox sleep robot, Android and iOS compatible is designed to improve the quality of sleep by using scientifically-backed cognitive and simulated human breathing techniques which accelerate the process of falling asleep. The soft peanut-shaped robot simulates how breathing works in humans - expansion and contraction - through multiple sensors including a CO2 sensor to sense breathing, an accelerometer to detect movement, a microphone for audio, and an algorithm which soothes the user to sleep. It can also switch itself off after the user falls asleep. The sleep robot uses Buddhistic breathing techniques for the ultimate sleep-inducing experience. As a user snuggles the robot, they subconsciously replicate its breathing rhythm. The robot also has sounds such as heartbeats, lullabies, and guided meditation which are controlled through the companion app. It's like having the Calm appinside something you can snuggle (it's also machine washable). Users also can upload personal audio files to the app. The company tested the sleep robot with 5,000 volunteers over the course of two years and performed 57 intensive sleep trajectories with volunteer test sleepers and ultimately co-designed the robot with Royal Auping, a circular mattress manufacturer in the Netherlands to produce a sustainable and durable product. Once the company has collected a threshold of sleep data from sleep robots in use, the company will incorporate an artificial intelligence (AI) algorithm to personalize the robot’s breathing pattern to the user’s preferences. The sensors inside the robot will send real-time updates and adjust based on the user's unique sleep patterns and behavior. "Some people might think it’s weird to go to bed with a robot, but I believe we’re really just scratching the surface," said Jagtenberg. "As a robotics engineer at the Robotics Institute at the University of Technology in Delft, we were really into soft robotics, humble companions that could interact with humans in a personal way through touch and sound, versus rigid, archetype robots that are potentially dangerous and could take your job," said Jagtenberg. "Our goal is to help millions of people achieve a great night’s sleep," adds Jagtenberg. "We want to build a portfolio of different soft companions that can give people the best possible night's rest there is." The sleep robot launched a crowdsourced campaign in 2017 and is now available on Indiegogo InDemand for $549 and expected to ship in Q3 2018. Both Shleep and Somnox are making their debut at the Consumer Electronics Show (CES), January 9-12, 2018 in Las Vegas.